His name first. Then the command: come. Then praise and coach him in, let him know that it is the entire process of coming towards you that is just as great as getting to you, and you appreciate that the travel is the hard part. This also lets your dog know that you arent angry at him for being away in the first place (even if you are angry!) and it also motivates your dog that you are a good target to get to. Model what you want your dog to do: Go right up to his nose with your hands filled with goodies. Command him and lure him to turn around and come just a few steps towards you. Remember – he must TAG you – your treats/hands should be touching your pants at your dogs height, so that youre assured he will always come in close enough to be grabbed by his collar in an emergency. When he gets to you, praise, pet, hug, and give one treat. Tell him okay and release him to go back to what he was doing. Repeat. 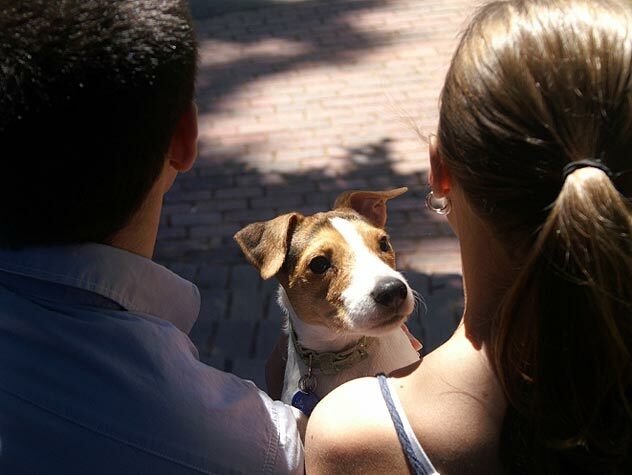 Let your dog see your calling him as merely a delightful interruption of his fun, not an end-all. 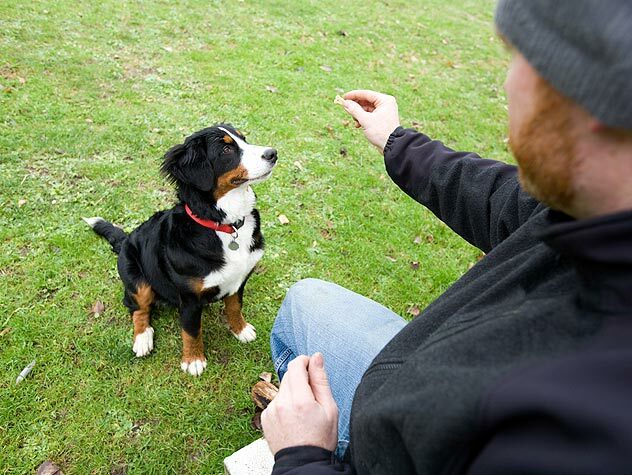 As soon as your dog has the idea, dont give him a treat every time – vary it. You must always have the treat when you call him, until he is 2 years old and then he must always THINK you have something wonderful for him. You must always praise and appreciate your dog for coming. As soon as you start to vary when you give your dog a treat, introduce the concept of a jackpot- something huge and excellent and unexpected for coming when called- like an entire pile of goodies, or a huge slab of liver, or a rawhide bone, or pull out his food dish and pour in his kibble and right then and there let him have his adored meal. When you are calling him away from something distracting, like treeing a squirrel, or coming indoors from playing in the yard or park, let your dog believe that coming when called is merely an interruption: praise, treat, and then release, okay and send your dog back away to play. Then when you really do need your dog to come in and stop having fun, he wont mind as much.